Nate Wright is the star of his own universe. 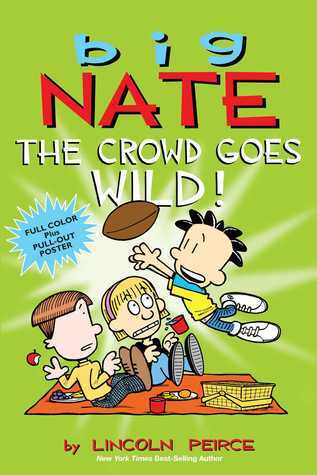 This book is a collection of strips from the Big Nate comic strips. The book is hilarious, granted it's marketed to children but this book can bring a laugh to everyone. Nate is a very smart kid, with a very sarcastic mouth and a knack for detention. He can tell you the most ancient facts of baseball, but don't ask him what he retained from class; you'd be asking too much. His smart alecky attitude really brings a laugh out of you on every page.